Kibera, Nairobi – 14 April 2010. Southwest of downtown Nairobi, a 2.5 square kilometer area is home to the second largest slum on the continent of Africa. Kibera is our destination today, and we are wondering how a game – yes, the biggest and best game on the planet – could make an impact here. This is a place where a good day is when your biggest challenge is the odor of raw sewage running through the mud-paths. 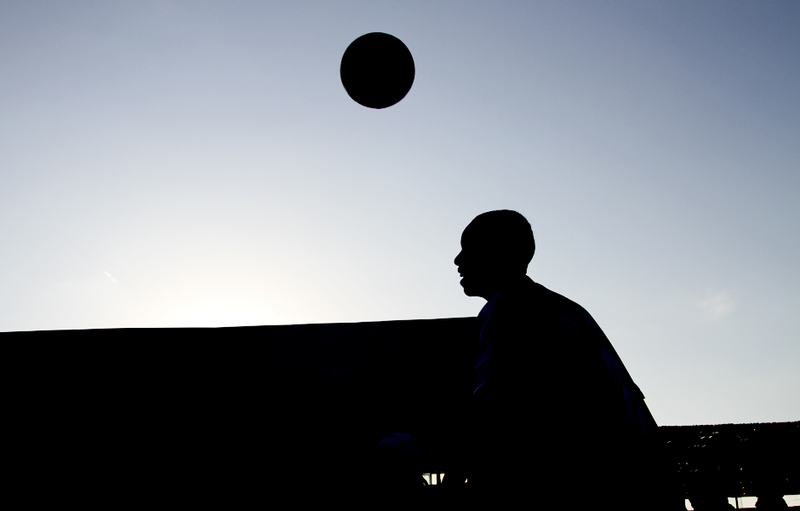 How can a two-hour training session make a difference? Ten years ago, Tabitha Atieno Festo, a registered nurse in Kibera, received a $26 grant from University of North Carolina undergrad Rye Barcott. Her plan was to start a vegetable stand. A year later, Rye founded Carolina for Kibera (CFK) and returned to Kibera to start a youth sports program. He was beyond shocked to find Rye Clinic, a community health clinic created by Tabitha from the profits of her vegetable stand. Today, Rye Clnic is now called Tabitha Medical Clinic (renamed after Tabitha’s death in 2004), and it is a hallmark of the Carolina For Kibera (CFK) initiative. We arrive at Kibera by matatu, a local bus, and walk into the bowels of the slum to find an impressively clean and modern three-story medical clinic. It’s almost impossible to describe how out-of-place this place seems here. Kibera is house of tin cards; a maze of row huts, make-shift shops, knotted power lines, and people. The muddy, garbage ridden pathways are accessible only on foot, and after a downpour the entire area can be a mysophobe’s worst nightmare. We enter the compound and immediately wonder about security. There are computers, benches, labs, and televisions. Our question is met with a smile from Dr. Henry Njenga Njuguna, one of the chief doctors on site and our guide today. Security is not an issue because the community has embraced and recognized the importance of Tabitha Clinic. The U.S. Center for Disease Control and Prevention (CDC) have partnered with CFK in order to research causes of morbidity in Kibera through a consensual surveillance program. In turn, the community receives free healthcare and treatment at Tabitha Clinic. Patients seeking care who do not want to participate are charged a small fee. Each day between 200 and 300 patients are seen, and around 30,000 people are involved in the surveillance program. Though it may seem like a large number of Kibera residents are served by Tabitha clinic, estimates of the total population of the slum vary from 600,000 to 1.2 million inhabitants. Dr. Njuguna knows that he has a huge challenge here in Kibera, where the HIV rate is over 50% higher than the national average. CFK’s trained staff goes door to door and engages the families in the privacy of their own homes to provide testing and counseling. Surprisingly, we learn that the highest modes of HIV transmission are through married couples, and it represents 40% of new cases. We leave a bustling Tabitha Clinic to play a little afternoon football with boys and girls in CFK’s Youth Sports Program. Along with Tabitha Clinic and the sports program, CFK also has the Binti Pamoja (Daughter’s Unite) Center, a reproductive health and women’s rights center for girls ages 11-18, and Taka Ni Pato (Trash is Cash) program, a waste management system that maximizes reusable materials and creates jobs for Kibera youth. As we hike back up to the matatu stop after a fun football session, we reflect on the inspiration that started CFK and what it means in terms of the bigger picture. Tabitha was a Kibera native with a desire and more importantly, a plan to strengthen her community. She started something that has become community run, and thus community owned. No one knows what Kibera needs better than the people who live there. With that said, perhaps one of the girls from our session today is the next Tabitha. On a stretch of dirt near the Air Force Landing Grounds, the local and global faces of sport for development meet for a day of football and sharing. Coaches Across Continents is working with Vijana Amani Pamoja (“Youth Together with Peace”) to enhance VAP’s HIV/AIDS and TB education programs. Along with Andy Old and Anna Rodenbough, Nick Gates weaves lessons about taking care of your body, being smart, and working hard into soccer-centered games and drills. Nick stresses the importance of fun and laughter, his team works closely with VAP Coaches to promote a more hand-on, interactive teaching style. He’s serious when he says that “smiles per hour” is a metric Coaches Across Continents uses to measure success. Here in the Eastlands, there is a lot of success. Tons. 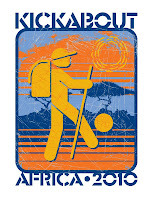 Vijana Amani Pamoja is a local football club and sport for development organization. 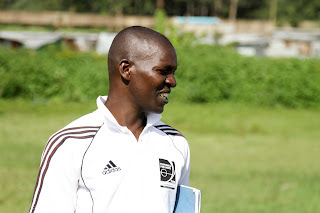 Ten years ago, Enouce Ndeche decided to harness the popularity of the club (formerly called CASL) and its players to promote HIV/AIDS awareness in the Eastlands slums. He partnered with Grassroot Soccer to implement GRS’ HIV/AIDS education program and recruited VAP players and coaches to dedicate their time to working young people in Nairobi. Seventeen of his staff of twenty are volunteers. All of them are footballers, with most playing for VAP’s youth and top-flight teams. At another Coaches Across Continents session, we sit with a few coaches and ask how (or why) they manage to volunteer so many hours when they still have to make a living, pay rent, buy food, and, in some cases, take care of their children. Elli continues to work with VAP even after completing his degree in Business. “When the other guys in my neighborhood see me in my (VAP) shirt, they are envious. They know I’m doing something with my life and avoiding getting into bad things. I love being a role model.” Former VAP participant and current coach Eddie tells us that before he got involved with VAP he was shy and not very sure of himself. Now? “I can stand proud in front of a large group and teach them football and about life. It’s so great.” Around the group, the stories mirror each other. Everyone of them would like to do this as a paying job (and some do get a small stipend), but they are committed to making sure the kids of Eastlands living long and healthy lives. We see that dedication in action a few days later at a “Mbrembo” picnic in Uhuru Park in downtown Nairobi. 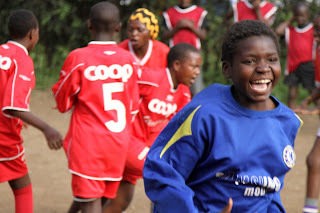 Swahili for beautiful (when speaking about a female), Mbrembo is a VAP program that “reveals the inner beauty of girls through sport.” Nancy created Mbremba after she joined VAP and noticed that there was not a girl’s team at the club. She decided to start her own so that she could reach out to young girls and talk about issues like reproductive health, life choices, unwanted/early pregnancies and child survival, abortion, and abuse. About twenty girls (along with some boys from the same neighborhood) come out to the picnic and get a chance to play a few of the games the coaches learned from Nick, Andy, and Anna. It’s obvious that Coaches Across Continents made an impact; all of the coaches are constantly engaging and encouraging the kids to think, be strong, and be safe. Lorrie sits down with the girls to talk about life as a female athlete. Nancy hopes this will inspire the girls come out more frequently. She mentions how difficult it is to get girls to come out to training during the week. On top of their school work, most girls have a long list of chores to do each day. While there isn’t the same stigma attached to girls playing football as we noticed in other Kickabout stops, most people do not see football as something that can really help girls. It’s a distraction. VAP respectfully disagrees, and Nancy is here to show that football can be a powerful tool for empowering girls and young women. Every Easter, Catholics around the world affirm their belief that their savior gave his life so that their sins would be forgiven. Bless us Father for we have sinned. Team Kickabout worked our Beloved Warthog to the limit, sending her spiraling into a coma for an indefinite amount of time. So, this Easter, Team Kickabout’s saviors came in the form of a trinity of a different dogma: the Father, the sun, and our persisting spirit. Our Father who art in Northern Kenya, Antony be his name, is the residing priest of the Catholic Mission of North Horr and the surrounding area. A German man of the church, he has officiated here for the last 13 years. This Holy Wednesday, his mission was to say mass in the remote village of Gaas and to rescue the four mzungus stranded just outside the village, delivering them to a place of safety and assistance. This is how Kickabout came to know North Horr and the Catholic Mission. The Catholic Mission of North Horr is a place where more than just the marooned seek refuge and guidance. In a town where unemployment rates are high and job opportunities are low, people find strength in their community and their faith. They have invested deeply in this parish and family activities center on the church. Younger members band together to form the Catholic Mission’s youth group. Grade level Standard 8 is a required prerequisite to join the youth group, making membership a reward for education and also ensuring that the group members are active thinkers well on their way to becoming contributing members of society. These teens are living in both faith and understanding. In a mature initiative wise beyond their years, the group promotes harmony between the Christians and Muslims of North Horr, a symbiotic collective unique to this part of the world. From time to time, they host united, interfaith meetings between local youth to discuss both perspectives and apply them to issues facing the town. Naturally, Team Kickabout suggested that the town’s kids meet outside of these formal symposiums to hang out and play some footy (of course the Kickabouters offered to demonstrate as well, playing a pick-up game on Easter Sunday afternoon). If you’d like additional information about the Catholic Mission of North Horr and how you too can help promote understanding across faiths, please contact info@thekickabout.org. So, Team Kickabout was fortunate enough to spend this holy weekend in observation of the Mission and its faithful, but what of this bizarre aforementioned trinity? While we got to know the good people of North Horr, we witnessed an Easter miracle: four days of sunshine during the rainy season. All of these strong, powerful rays meant that we were granted good roads for our journey to Nairobi. The Father’s gracious aid partnered with ideal driving conditions and our unrelenting tenacity to forge ahead allowed us to plow onward towards Nairobi. 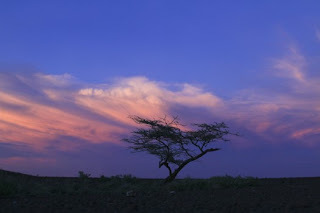 Ethiopia from Elias Sinkus on Vimeo. After we recovered the vehicle we waited for rescue and after a couple of days we transported the car to a small town called North Horr. After a week of negotiation, we were able to transport the car 600 km to Nairobi where it will be repaired. The trip was the Kenyan version of “Mr. Toad’s Wild Ride” as we clung on top of a lorry on some of the worst roads ever conceived by man. We are now safely in Nairobi and, while here, we will visit with Coaches Across Continents, and Vijana Amani Pamoja. Stay tuned for the stories! 18 days after leaving Addis, we finally arrived safe and (somewhat) sound in Nairobi! In between it all, we have played some football, held impromptu coaching sessions, watched Champions League and EPL matches in local entertainment halls, and made some incredible new friends. We'll get details and visuals up soon!